The week will bring round of heavy rain with embedded areas of severe weather. With the humid air mass in place, the groundwork is set for more flooding. 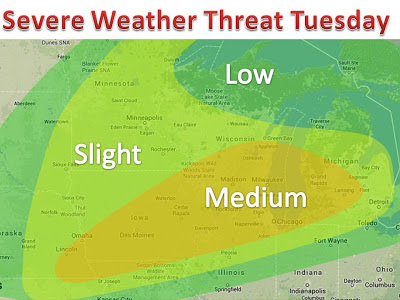 Here is an outlook of severe weather for tomorrow. Today's threat will mostly be in the Dakotas, this will shift east overnight.